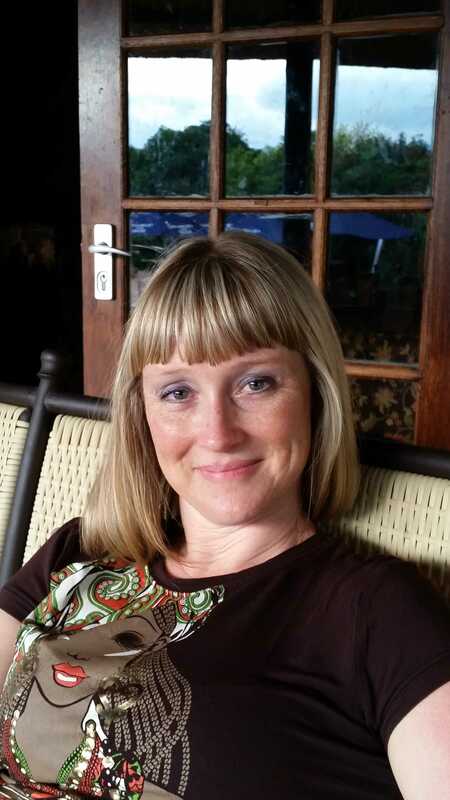 Please meet Robbie @ Robbie’s inspiration and read about all the lovely chocolate. During a recent visit to Paarl in the Western Cape, we came across De Villiers Chocolate and the DV Café. We had not intended to visit a chocolate factory that day as we were in the famous Cape Winelands where some of the best quality wines in the world are made. We saw the sign and I thought that it would be an unusual experience for our two boys to see how chocolate is made. The De Villiers Chocolate factory is housed in an old Cape Dutch house and visitors can watch the chocolate making through glass walls. A chocolate tasting tour was on offer so we purchased tickets and headed into the small room to learn about the art of chocolate making and taste some of the famous DV chocolate. It was very interesting for me to learn about the DV chocolate making process which started in the family’s garage using machines made out of recycled home appliances. We were told about how the chocolate is made using the cocoa bean and how the area from which the cocoa beans are sourced influences the taste of the chocolate. DV sources its beans from six growing areas, namely, Venezuela Carenero, Uganda, Trinidad & Tobago, Venezuela Rio Caribe, Sao Tome and Madagascar, Sambirano Valley. It was such fun to taste the various pieces of chocolate made from cocoa beans from each of these areas and identify the different flavours. DV Chocolate prides itself that all of its cocoa beans are traceable to farm level and are free from people exploitation. In addition, the company uses UTZ certified cocoa beans which means that they are produced using sustainable farming methods with a focus on teaching farmers better farming methods, improving their working conditions and taking better care of their children and the environment. The tour guide explained to us how the chocolate is tempered, a process whereby the chocolate is taken through a temperature curve in order to align the chocolate’s crystals and make it smooth, silky and glossy. My son, Michael, was as interested as I was in the tempering process. He was fascinated to learn that the waxy, white coating that formed on his chocolates when he tried to make chocolate witches for Halloween, was actually cocoa butter that had separated out of the chocolate. I already knew how to temper chocolate. I had been using this process for my own chocolate making for a while but it was good to hear about it from an expert. I think the tour guide was surprised by how much I knew and was happy to provide additional information. After our chocolate tasting tour, we went to the DV Café and the boys enjoyed home-made ice-cream while Terence and I had a really lovely cup of coffee. Our visit to DV Chocolate factory was very inspiring for Michael and I. Our interest in chocolate and chocolate making has flourished and we have put our chocolate making skills to good use over the last twelve months. 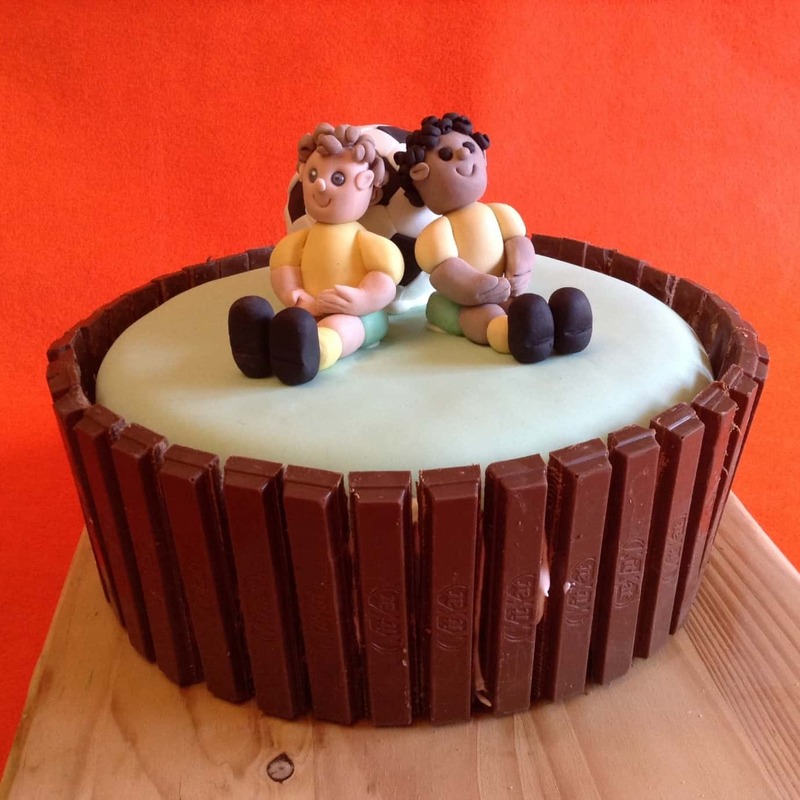 We created the above Springbok soccer boys cake which used individual fingers of milk chocolate KitKat to create a circular stadium effect. We also baked and decorated a giant s’more comprising of our own vanilla biscuit base and top layer with marshmallows in the middle an melted [and tempered] chocolate on the top. 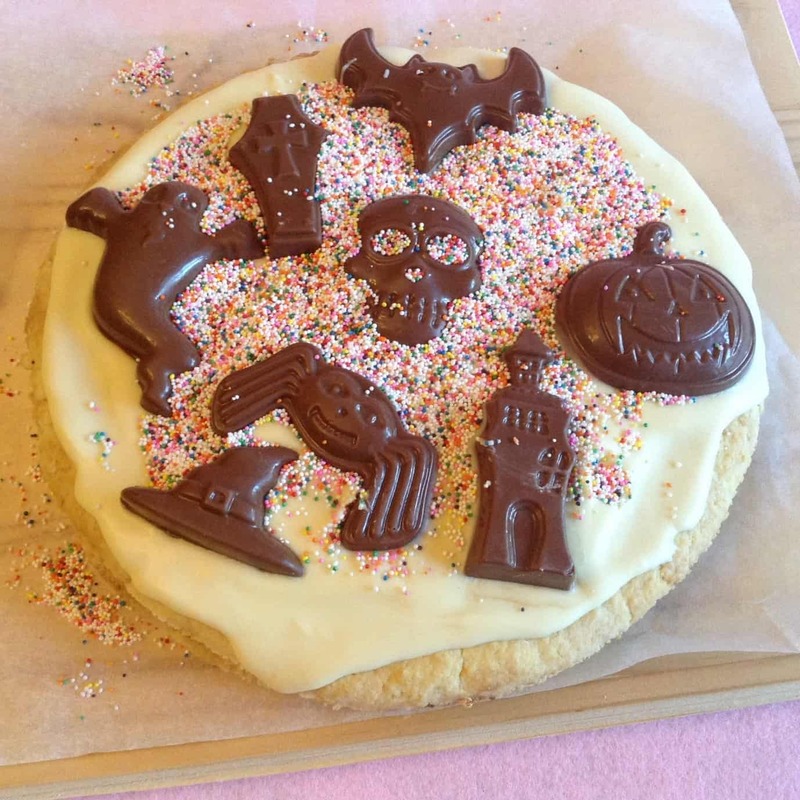 We also decorated our s’more with our own handmade Halloween chocolates. Last but not least, we recently built a new house for our book character, Sir Chocolate, make entirely of chocolate. This was a great triumph for us. This is not the end of Michael and my chocolate creating journey and we are aiming to make a chocolate mansion in the foreseeable future. Robbie and Michael Cheadle are the co-authors of the Sir Chocolate books series. There are currently three titles available. The fourth book, Sir Chocolate and the Condensed Milk River story and cookbook, will be available in early October 2017. The Sir Chocolate books are for young children aged 3 to 9 years old and include a story, told in rhyming verse and illustrated with Robbie’s unique illustrations made of cake, chocolate and fondant, as well as five simple recipes that children can make under adult supervision. Robbie Cheadle is also the author of Silly Willy goes to Cape Town, a chapter book written through the eyes of eight year old Cautious Craig. This book includes some of Robbie’s fondant illustrations with instructions on how to make them. There are also cake recipes included in the book with instructions on how to make five fun party cakes for children. Oh My! Chocolate heaven indeed … Your amazing creations have me dieing for children to make them for (I’m a tweeny – ‘twixt children flying and producing their own chicks) … dee-lush! Thank you so much. All in good time is what my Mum would say. 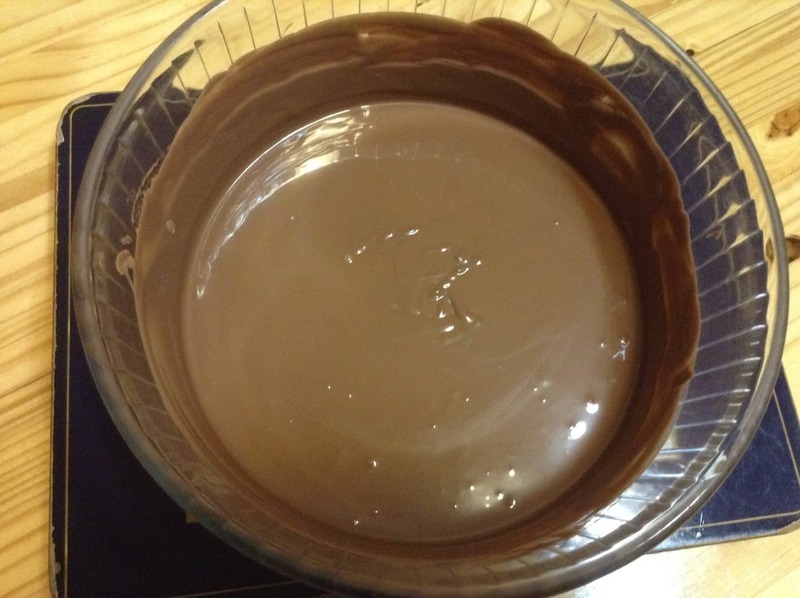 Yes, its awesome and I have to create a chocolate birthday cake for my 6 year old granddaughter end of September – still have to see how this one will turn out. Seems like the perfect cake to me! For 6 years old or any age …. Robbie and chocolate… two of my favourite things! 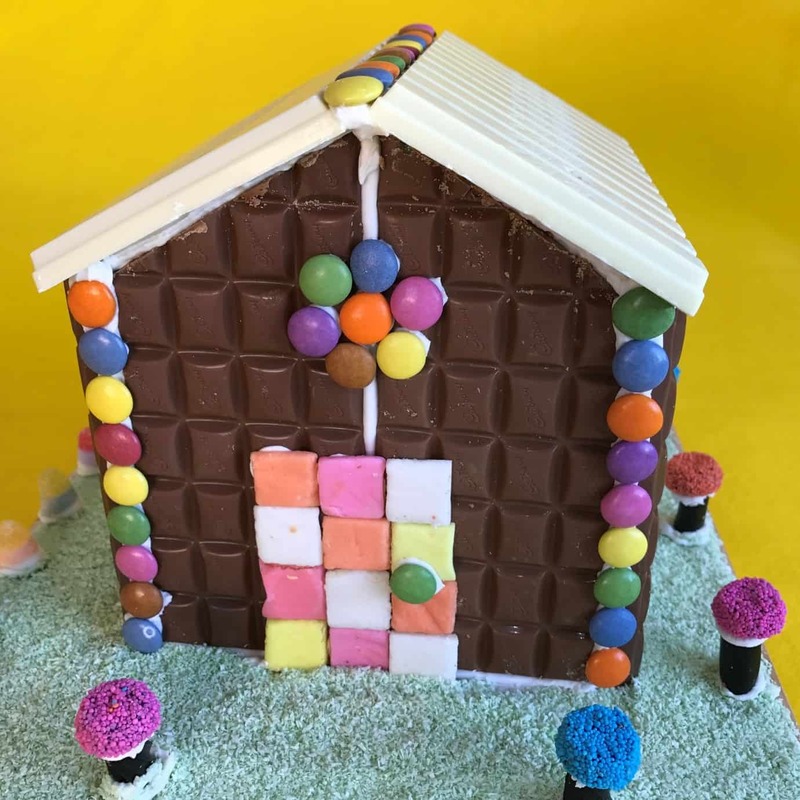 … or a whole chocolate house – sugar hugs. Michael and I visited The Recipe Hunter today to tell Esme all about our trip to De Villiers Chocolate Factory in Paarl, Western Cape, South Africa. Thank you Esme for hosting us at you lovely blog. I am flattered for the share to your blog. Thanks so so much. Not sure if you know, but I originate from the Western Cape area. Born and raised there, but now in Canada for 20+ years. Oh, I didn’t know that, how lovely. We have relatives in Canada too how immigrated about 20 years ago. Western Cape is a wonderful place. Thank you, Esme, for inviting Michael and I over for a visit to your lovely blog. We are very excited to be here and to tell everyone about our visit to DK Chocolate Factory. Robbie & Michael: How lucky for Sir Chocolate to live in a place such as you’ve created! Looking forward to see that chocolate mansion become a reality! Thanks, Esme, for sharing these ‘treats’ here. Thank you for visiting and commenting. We will be sure to share the mansion we create with English chocolate. Thank you, Michael, much appreciated as always. As if those of you who are still in my kitchen had not had enough treats for one day.. Robbie Cheadle and her family visited the De Villiers Chocolate factory in Paarl in the Cape.. Robbie already knows how to temper chocolate and uses for her baking but her sons found it fascinating.. also some great ideas for party cakes. Thank you, Sally. This post is a perfect fit for your party days! You visit the best places. I am so hungry for chocolate now. Thank you, so much for sharing!! We try to get around, Annette. I read somewhere that children do their best learning on site [and so do the adults, of course]. Have a lovely week! Thanks for visiting us over here, Debby. I made that cake for one of the tea ladies at work. She was so admiring of my cakes and asked for one for her grandson’s birthday. I made it for her as a gift and she was so pleased. Nice! I would love to taste test different chocolates! 😀 Now that’s tasty research. Taste testing would be perfect, but then what will happen to my waistline?? Small quantities, Esme. My mother always says moderation in all things [wink]. Robbie, Yes I totally agree, but sometimes that’s difficult to do especially if you have such yummy chocolate at hand. It was really most interesting, Diana. Some of the DK chocolates are 90% cocoa; a bit strong for me. I thought it was interesting that they don’t add milk. Their chocolate is made from only cocoa beans and sugar. That is fascinating. Our chocolates over here in the States are probably a slim sampling of all that are available. Invite done. I think I already answered your above questions. Should you need more information, please feel free to email me at cookandenjoy@shaw.ca as I am more than happy to answer any other questions you may have. Off to work now, but will respond again tonight. Wow, I am so honored and flattered. I have emailed the invite to you with some more information. I hope to read some of your books while on vacation soon. Thanks, you do have some lovely stuff going. PS. I can do something food related I am sure. I’ve often had my characters share recipes from their time or place and I’ve also featured recipes in passing in books. I am so happy that you wish to participate here with us. That will be just awesome and perfect, You can then if you wish do the same as you mention above. I will send you an invite and then you can do it direct on the blog. Just email me the images, approval to use a pic of you, and also add one if allowed, then also approval to link to your blog. Please add your social media links add the end of the post then those who read your post can also visit you. Looking forward to your post. Ooooh, I am looking forward to reading both of these interviews. I am sure the Dudes will love Esme, Shey, especially if she brings some of her great dishes with her. I so hope to get them on board, This is so awesome to meet all and read their blogs and stories and then have them share with other bloggers around the world your stories. Thanks again to all. This is so kind of you. Thank you so much. I will love being here. And the dudes will love having you back. They are very into recipes you know ! One of my favourite memories is when my own Nana read me Charlie and the Chocolate Factory, Shey. I recall vividly, her reading to me about Charlie stopping outside the gates to breath in the smell of chocolate. Ever since then I have really loved the smell of chocolate. Took a quick peep, yes I see your post. Got to run to get to work on time, also saw your email. Thanks so much. I will work on it tonight and the post will be published in Sept but I will give you final date later as I already have some others lined up prior to yours. I will provide ping back to your blog as well. I have not read your post at this moment, but will comment via your email tonight, but thanks in advance. Gosh you do wonderful works Robbie!!!!! My waistline would be bulging, lol. Thank you for visiting Tom and Audrey. Yes I agree with you, if I worked with chocolate as Robbie, then I will be x10 soon. Just checked your blog and now would like to know if you guys would be interested to also G…uest Post here on TRH. 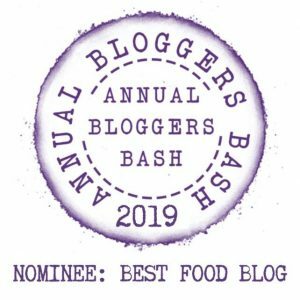 No need to do a food related post, any post that you would do on your own blog would be awesome. Please let me know. Thanks for considering. This is so special of you to consider us as a guest post. At this time though we would humbly ask to pass. We will though be watching your site because we enjoy trying new recipes. Thanks for your response, but accept this as an open invitation and when you feel ready and up to it, just drop me a note. Take care and hope you will enjoy the tried and tested recipes shared here. Thank you for your kind open invitation. And yes we’ll be applying those tried and tested recipes of yours. We love preparing foods and then sitting down to them and savoring the flavors. Thanks for popping in, Audrey. Funnily enough when you work with cake and chocolate all the time it actually puts you off eating it. To much of a good thing [smile]. Have a great week. This is interesting. I know I love my chocolate and it always makes Tom smile. That is a lovely story, Carol. I don’t know how she resisted, the smell of chocolate is so tempting. I’m taking a friend to The Spice Route next month and this will be one of our stops. That does sound very interesting as well Tandy. Just hopped over to your awesome blog. I am so glad I found it. Thanks for visiting, and I love what I briefly saw on your blog. I am on my way to work, but just need to answer a few posts, and yours being one of them. Would you like to also participate in this series?? Please let me know as I will be honored if you see your way open to do a Guest post here with us. Sounds great, Tandy. DK chocolate factory is well worth a visit and they have lovely homemade ice-cream as well. Robbie, you simply amaze me. I thought you were planning time OFF, yet everywhere I go you’ve been there before me – and NOW you are writing articles for the blogs of others. And still you find time to bake, write new books with Michael, photograph your creations and get them on your own blog… and so-much-MORE! That’s it – I’m bushed just thinking about all you manage to do and am going to BED! 🙂 Actually, it’s 5 AM here so I started out bushed – lol. Fascinating article with quite a few chocolate facts that were brand new to me. Thanks for sharing – and thanks, Esme, for hosting this super post. And NOW, I really am putting myself to bed! Little Tink conked out hours ago. Yes, I agree, she does put me to shame as well. My goodness, Madelyn, you never sleep! I need to sleep eight hours a day but I don’t watch any television so that give me lots of extra time in a day [smile]. I am loving this holiday with lots of time to write poems and pop into blogs in between sight seeing. We are not doing much cooking here but are having simple meals like omelettes and soup so that also gives lots more time. Oh, and the sun goes down really late here as well. What a marvelous post, Esme. Robbie is such a delight, and her creations look whimsical and delicious. Hugs all around. Thank you for visiting us here, Teagan. Hugs right back at you. What a wonderful experience, Christy. Working in a chocolate factory must have been really fun. Thank you for reading and commenting, Jennie.